Having turned-in more than a few disappointing performances in the past couple of years – see The Prince, Vice – it’s become almost impossible to hope for anything even at least above-average from once reliable action super-star, Mr. Bruce Willis, who is at it again in Steven C. Miller’s Extraction; a painfully clichéd low-budget flick that does very little to entertain or arouse any interest in what it’s got to say. The story opens with tough-as-nails CIA operative, Leonard Turner (Willis), fighting and shooting his way out of a sticky situation with some bad guys. In the end, he manages to come out on top, but isn’t able to save everyone. Ten years later, Turner’s son, Harry (Lutz), who has always wanted to follow in his father’s footsteps, is being trained by the agency in Prague and spends most of his time under the watchful eye of Agent Robertson (Sweeney). Meanwhile, back in New Jersey, his dad – now supposedly ‘retired’ – is busy researching the location of an important communication hacking device known as Condor, though his plan is quickly derailed when he’s abducted. Eager to find his father, Harry travels to New Jersey to join the expected rescue mission, but he soon learns that the CIA is not interested in extracting Turner, forcing Harry to go rogue and deal with the mess himself. In the face of a predictable storyline, awful dialogue and a relatively uninvolved and limited cast, Extraction does deserve a nod for its relatively innovative action set-pieces. It’s no Bourne by any means, but some of the action scenes – the nightclub bathroom fight scene comes to mind – are admittedly engaging and surprisingly well-shot, giving Extraction a light nudge towards something perhaps worth sitting through. Unfortunately, though, the novelty doesn’t stick and the story’s weaknesses are very quickly revealed, with the script calling on action-clichés and eye-rolling one-liners. Lutz, who is technically the lead in the film rather than Willis, isn’t able to carry the burden, though, even if his acting chops are not all that tuned, his fighting skills and physical capabilities most definitely are. Meanwhile, Willis looks pretty unmoved throughout and if we didn’t know any better, it looks like he wants to be anywhere but on camera, making one wonder why he bothered showing up in the first place? 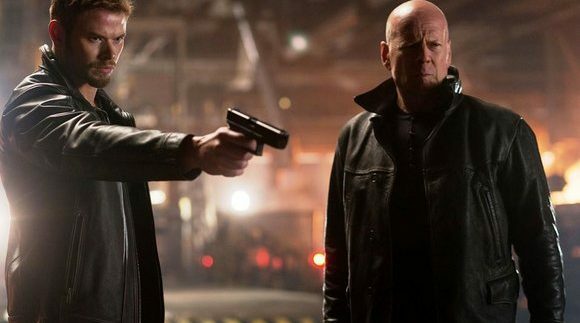 A prequel-come-origin story to the Dies Hard series is in the works, but there's been plenty of speculation abour Willis' role, with many suggesting that his appearance will be more than a cameo.